The following biographies are for the 2008-2010 AIB Executive Board. The board served from August 1, 2008 to July 31, 2010. Yves Doz is the Timken Chaired Professor of Global Technology and Innovation at INSEAD and Visiting Professor at the Helsinki School of Economics. He was Dean of Executive Education (1998-2002) and Associate Dean for Research and Development (1990-1995) at INSEAD.Professor Doz also was Director of the Management of Technology and Innovation programme at INSEAD, a multi-disciplinary effort involving about 20 faculty members and researchers that ran from 1987 to 1994.Yves Doz received his Doctoral degree from Harvard University and is a graduate of the Ecole des Hautes Etudes Commerciales (Jouy-en-Josas, France).He has also taught at the Harvard Business School, Stanford's Graduate School of Business, Seoul National University, and Aoyama Gakuin University in Tokyo. His research on the strategy and organization of multinational companies, examining specifically high-technology industries, led to numerous publications, including several books, in particular The Multinational Mission:Balancing Local Demands and Global Vision, co-authored with CK. Prahalad (1987) and From Global to Metanational:How Companies Win in the Knowledge Economy co-authored with José Santos and Peter Williamson, two INSEAD colleagues (Harvard Business School Press, 2001) which shows how companies can mobilize dispersed knowledge to learn from the world.His research on strategic alliances has been summarized in Alliance Advantage, published in 1998.His research work won numerous awards: a Distinguished Scholar Award from the Academy of Management (2003) and an election as "Inaugural Fellow of the Strategic Management Society" (2005).Prof. 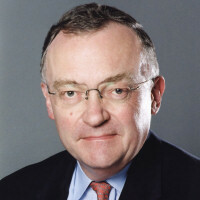 Doz was most recently elected Fellow of the Academy of Management (2006), and was also nominated by The Economist as one of a handful of European 'Management Gurus'. He is a frequent speaker at management conferences and corporate events.He has been a Fellow of the Academy of International Business since and served as Program Chair for the Quebec meeting in 2005. Professor Doz currently carries out research on strategic partnerships, on global competition in the knowledge economy, and on the competitive revitalization of international companies.Yves Doz is also investigating on how companies can achieve strategic agility, with Dr Mikko Kosonen, formerly CIO at Nokia.Their book on Fast Strategy is forthcoming in December 2007. Prof. Doz' business experience includes work on multinational aircraft programs; he has consulted for many major multinational corporations and taught in their internal development programs.His recent assignments have included advising multinationals on the development of new growth platforms and designing and implementing competitive revitalization programs. Duties: TheVice Presidents for Meetings serves as Program Chair for the Annual Meeting during one year of the two-year term. During the alternate year, he or she performs the duties of the President, in case of his or her absence. Torben Pedersen is Professor of International Business at Copenhagen Business School's Center for Strategic Management and Globalization (SMG). He has also been Visiting Professor at Bocconi University, Milan, Italy; The University of New South Wales, Sydney Australia; and Gothenburg University, Sweden. He has published over 50 articles and books concerning managerial and strategic aspects of globalization. His research has appeared in prominent journals such as the Journal of International Business Studies, Strategic Management Journal, Journal of Corporate Finance, and Management International Review. Pedersen's most recent book is Managing Global Offshoring Strategies - A Case Approach. His current research focuses on issues of knowledge governance, offshoring of knowledge activities and the entrepreneurial MNC. Torben Pedersen is a former President of the European International Business Academy (EIBA) and currently member of the board of EIBA and Chapter Chair for the Western Europe chapter of AIB. He is a member of the editorial board of number of refereed academic journals, including Journal of International Business Studies, Journal of International Management and International Business Review. Pedersen's service to AIB includes participating in the Doctoral Tutorial (2003, 2005) and the Junior Faculty (2004). In addition, he has held a number of administrative positions at Copenhagen Business School including Head of Department for three years. See http://www.cbs.dk/staff/tp for more information. Tatiana Kostova is an Associate Professor of International Business and a Moore Research Fellow at the University of South Carolina Moore School of Business. Prior to coming to USA, she was on the faculty of the Department of Management at the University of Economics in Varna, Bulgaria and was the Associate Director of the Graduate School of Management. 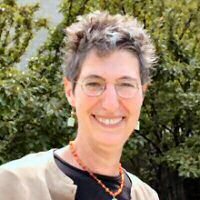 In 1989 she was a Fulbright scholar at UCLA. Dr. Kostova holds a Ph.D. degree from the University of Minnesota (1996). Her dissertation "Success of the transnational transfer of organizational practices within multinational companies" was awarded the Barry Richman Best Dissertation Award of the International Management Division of AoM and the Richard Farmer Best Dissertation Award of AIB. Her areas of interest include international management, macro-organizational behavior, and organization theory. More specifically, she studies institutional and cultural embeddedness of multinational corporations (MNC), cross-border transfer of management practices within MNCs, knowledge management, legitimacy, and social capital as a source of competitive advantage in MNCs. 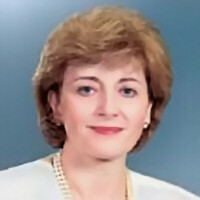 Professor Kostova teaches in the IMBA and PMBA programs at the Moore School of Business, the IMBA European Program jointly run with WirtschaftsUniversität Wien (Vienna, Austria), the joint Executive IMBA program with Tech de Monterey (Guadalajara, Mexico), various executive programs, and the Faculty Development in International Business Program at the University of South Carolina. She also teaches as a Visiting Professor in the Summer Program of the Chinese University of Hong Kong. Dr. Kostova has published articles in the Academy of Management Review, Academy of Management Journal, Group and Organization Management, Journal of Organizational Behavior, Journal of Management, Journal of World Business, Management International Review, Journal of International Management, and others. In 2007 she was recognized as the "Rising Star" in Economics & Business by Incites for the high impact of her publications. She has served as a Department Editor and member of the Editorial Board of Journal of International Business Studies and is on the Editorial Board of Academy of Management Journal, Journal of World Business, Multinational Business Review, Journal of Management Studies, and Journal of Asian Pacific Business. Tatiana has been actively involved in AIB where she has served in various roles including Track Chair, Consortia Organizer, and Coordinator and Chair of the JIBS/AIB Paper Development Workshop. She is also involved in the International Management Division of AoM where she is the Incoming Division Chair. Pervez Ghauri is Professor of International Management at King’s College London, United Kingdom. Earlier he was Professor of International Business at Manchester Business School, the University of Manchester, U.K., where he was Head of the International Business group and Director for Centre for International Business Education and Research. He also held leadership positions at the University of Uppsala (Sweden), Norwegian School of Management (Norway), and University of Groningen (Netherlands). He served as a visiting professor at Michigan State University (USA), University of International Business and Economics (China), Robert Schuman University (France), Henrick-Heine University (Germany), Maastricht University (Netherlands), Vaasa University (Finland) and Lund University (Sweden). Dr. Ghauri completed his PhD at Uppsala University, where he also taught for several years. He received an Honorary Doctor of Economics degree from Turku School of Economics and Management (Finland) in 2005. Professor Ghauri's principal research areas are international business, international marketing and international business research. He has published more than twenty books including; The Internationalization of the Firm (with Peter Buckley), Managing Opportunity Development in Business Networks (with Johanson and Hadjikhani), International Business Negotiations (with Usunier), Research Methods in Business Studies (with Gronhaug) and Doing Business in Emerging Markets (with Cavusgil). 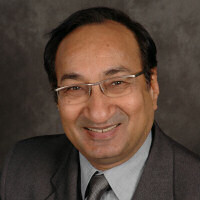 In addition he is editor for the book series on International Business and Management published by Elsevier Science. He is also author of more than 50 refereed journal articles including; Globalization, economic geography and strategy of MNEs (with Peter Buckley) in the JIBS 2004. Professor Ghauri is member of the board for European International Business Academy (EIBA) and the founding editor of International Business Review, an ISI journal that is also official journal of EIBA. He has served on the board of Academy of International Business (AIB-UK) and as chair for international business track for the British Academy of Management (BAM). He has served as conference Chair for a number of conferences including; AIB-UK, AMS -Biannual, CIMaR and IMP. 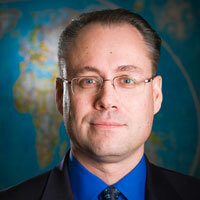 He also serves as Editor for international submissions for the Journal of World Business. Dr. Ghauri serves as a consultant to a number of international organizations and firms such as; Airbus Industries, Ericsson, Philips and UNCTAD. He is often consulted by national media to comment on current affairs and has appeared on BBC, Sky News, and ITV television as well as on BBC Radio 4. Professor Hult is Associate Dean for Global Initiatives and Director of the International Business Center (IBC), which houses globalEDGE, MSU-CIBER, CIBERweb, Academy of International Business (AIB), and the Global Business Club of Mid-Michigan (GB Club). He is Professor of Marketing, International Business, and Strategic Management, with specialty areas in global strategy and supply chain management. IBC is the developer of globalEDGE; the world's leading online source for international business information (Google). Hult is the founding Editor of the globalEDGE Business Review (gBR) and Editor Elect of the Journal of the Academy of Marketing Science (JAMS). 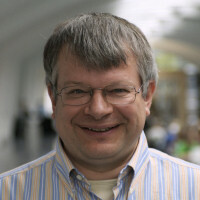 Professor Hult serves as Executive Director of the Academy of International Business and has been Deputy Editor-in-Chief (2006-2007) and Department Editor (2002-2006) of the Journal of International Business Studies (JIBS). He is Associate Editor of Decision Sciences (DSJ) and has been Associate Editor of the Journal of Operations Management (JOM). He also serves on numerous review boards (e.g., Academy of Management Journal, Journal of Marketing). Professor Hult is in the top percentile in publications and citations in strategy in the last decade. His research has been cited more than 2,700 times per Google Scholar. A dual citizen of Sweden and the U.S., Dr. Hult has been in the U.S since 1987 and at Michigan State University since January 2001.